Monitor and protect your PHP apps. You can also schedule a demo or check the docs. Always stay one step ahead of attackers. Get faster insights on suspicious activities in real-time. 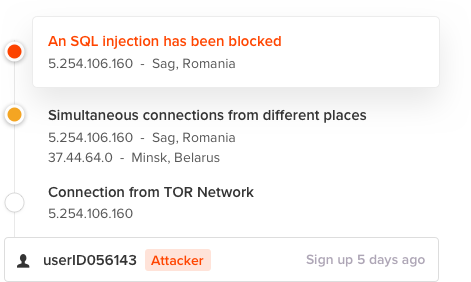 Harden your application with out of the box protections against the most critical attacks from the OWASP Top 10: SQL Injections, XSS and more. Extend our detection algorithms with your own application knowledge using custom events and triggers. 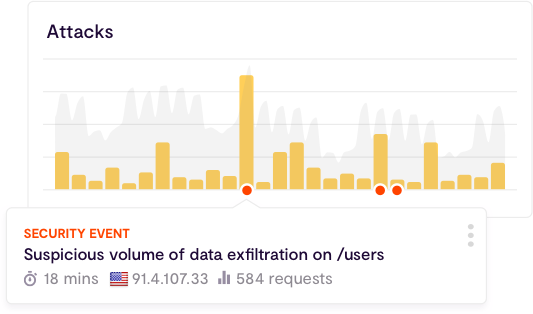 Get actionable data and a detailed timeline of events on every user or IP to easily detect anomalous behaviors. 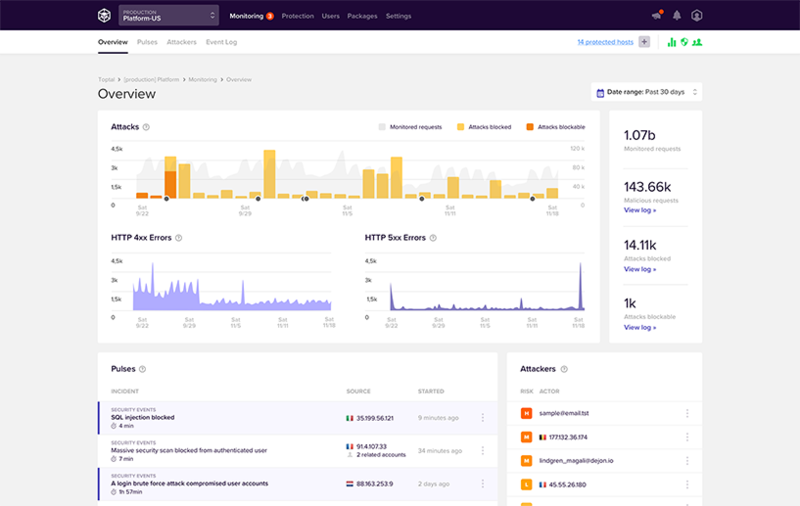 Get actionable data and stack traces to easily fix critical vulnerabilities uncovered by Sqreen, attackers, pentesters or bug bounties. Fix them and get back to the fun stuff. Get up and running in minutes by installing our library. No code modification required. Easily integrate security into your app with extensible plugins. Build security into your app and create security automation plugins to prevent business logic attacks. Deploy Sqreen's microagents on Cloud, Private Cloud or on-premise as a lightweight library into your app. 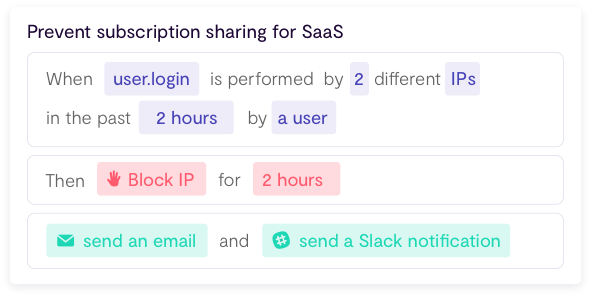 Get started without code modification. Use our SDK to add additional monitoring layers. No reverse-proxy or traffic redirection required. No PII or sensitive data collected. Sqreen adapts its modules to the application stack and doesn’t generate false positives. Limited performance impact and no CPU or memory overhead. No synchronous calls are performed.